GBP is keeping its power against the weak USD hoping for the positive impact from the Brexit talks and BOE decisions regarding the rate hikes. 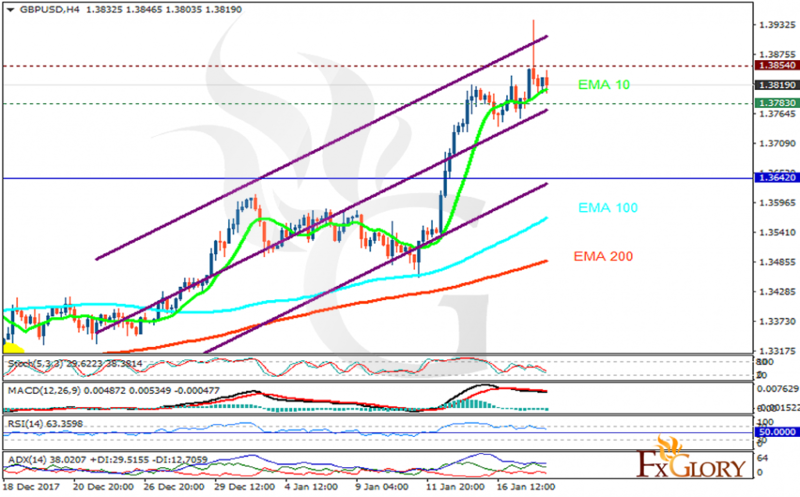 The support rests at 1.37830 with resistance at 1.38540 which both lines are above the weekly pivot point at 1.36420. The EMA of 10 is moving with bullish bias in the ascendant channel and it is above the EMA of 200 and the EMA of 100. The RSI is moving in overbought area, the Stochastic is showing downward momentum and MACD line is below the signal line in the negative territory. The ADX is showing buy signals. Long positions are recommended towards 1.40.